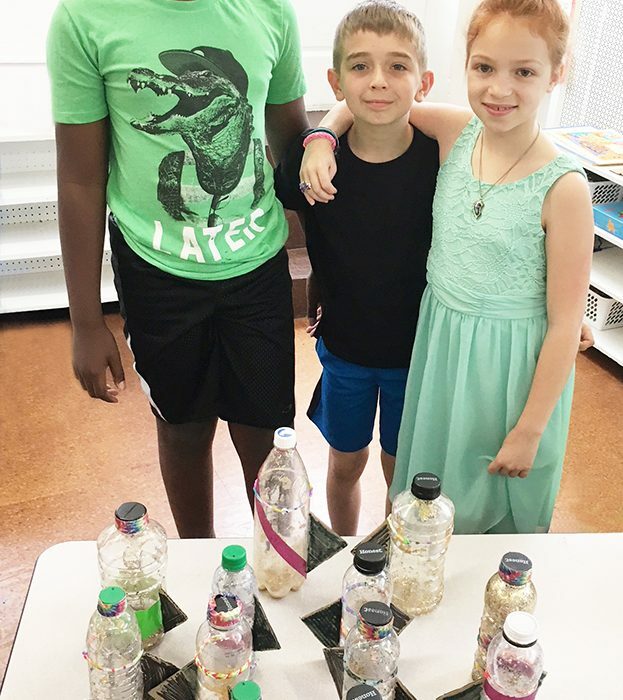 Trevose Day School > Uncategorized > Presenting original products during ‘Market Day’! Presenting original products during ‘Market Day’! The 2nd – 5th grade students gathered for their final presentation on Friday, June 2 for “Market Day”! Teacher Mrs. Hacker combined a lesson in economics with some amazing project based learning! The students created their own businesses. But, before they could start, they had to think about EVERYTHING, including customer needs, why a customer would purchase this product, and the overall purpose of creating each given product in the first place. So much deep thinking and discussion was happening in their groups. It was so incredible seeing “mini” entrepreneurs at work; maybe they should become business consultants. The children also had to learn economic vocabulary such as consumer, producers, goods, services, income, supply, demand, loss, profit and many more! The kids worked SO hard! They thought through every step and made their products. Never once was a kid distracted because they were SO into it! Anything that they needed for their product, they had to buy or re-purpose. And they all had to apply for a business license. This all was calculated into their final budget. On the final market day, they set up their businesses and got prepared to sell! We were selling to all the other students in the school. Every student was given $5 to purchase a product that they wanted. Each group that entered the room sat and watched student-filmed commercials. Then it was time to shop! The room was filled with excitement and energy as they tried to gain the most customers. It was SO much fun! Every item was created by the students in each group. Here are the the amazing products that the students sold and the overall results.